Tag Archive | "huwarang pantawid pamilya"
The Serna family poses happily for winning the Search for Huwarang Pantawid Pamilya in the provincial level. It took about 20 minutes of boat ride going to this island of San Jose, Occidental Mindoro to interview one of this year’s model families and the provincial winner of Huwarang Pantawid Pamilya. It was raining early in the morning going to Brgy. Labangan in Ilin island but as the boat nears the docking area, rays of smiles from its residents welcome the guests and the sun peeps from the clouds and shone its light to bring a brighter day. Among the crowd is the silent couple, Eusebio and Gigie showing their glee together with their fellow community members. The Serna family brought pride not only to their own but also for the whole community. It was seen that the family is known to everyone in the area that they are enjoined by their neighbors in celebration of winning the competition. Eusebio, 49 year old, and Gigie, 43, have seven children through their 23 years of marriage. Living from an island barangay, the family lives off by Eusebio being a “konduktor sa bangka”. But with seven children, it is not enough to sustain their needs alone. Thus, they also plant crops and vegetables. They have an organized garden across their house. They have almost all kinds of root crops and vegetables: sitaw, ampalaya, kangkong, gabi, papaya, gabi, kamote, etc. Through proper budgeting, they were able to buy and tend some animals like goats, chicken, pig and cow. “Dahil po iyan sa tulong ng Pantawid Pamilya kaya naman paunti-unti, iniaangat po namin ang aming kondisyon sa buhay,” said Gigie. It is through the program and being wise in saving money that they are able to face the challenges in their living conditions. “Pinag-uusapan naming mag-asawa kung anong gagawin sa mga natatanggap namin kaya unti-unti napagawa rin namin ang bahay,” added Gigie. 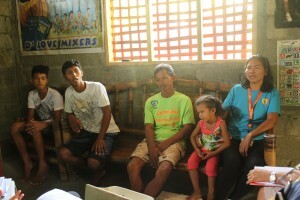 Gigie also narrated, “Malaki rin po ang naitulong ng programa dahil nabibigyan ng oportunidad ang mga bata na magpa-check-up at mabigyan sila ng mga pangangailangan nila sa eskwelahan.” Gigie also said that she is active in attending their Family Development Sessions (FDS). It is through the sessions that she gains new knowledge that she applies in their everyday life. Gigie makes sure that they have a clean and organize backyard garden. Being active in community activities is innate for the couple. Gigie is a catechist or part-time volunteer teacher to grade two pupils in Labangan Elementary School since 2014. She was also voted as a secretary in the Parent-Teacher Association in the same school, as well as the secretary and president of the Festijos for two consecutive years in their barangay. She is also an active volunteer of the Community Savings Group, a women’s group, for five years. Currently, she is a treasurer of their SEA-K and a parent leader of Pantawid Pamilya. On the other hand, Eusebio is a trained traditional veterinarian. He was fortunate to be chosen by the Department of Agriculture through the Plan International’s project in their barangay to tend to farm animals that he was sent to Manila for a training. Eusebio monitors animals and provides care when they have illnesses. Specifically, he provides vitamins using a syringe to the cattle. Eusebio is in-charge of all the animals in the island. The couple relayed that there was a time that they fought due to Gigie’s schedule in participating to too many community activities. But with communication, the couple resolved their issues and agreed to always talk with one another and manage their time for the family and their responsibilities in the community. With the innate feeling to serve, the couple could not help but be active in the community, and they both understand that they have to be more patient and understanding of one another’s feelings and positions. Moreover, they have bright and talented children. Of the seven, three are still in school in their island; one in high school, one in elementary and the youngest in Daycare. The eldest, Gerald, 23, did not graduate from college and decided to help his father being a ‘bangkero’ and whatever work he gets in San Jose proper, sometimes being a construction worker. The second, Ivee Valerie is a trainee in a company in Cavite while the third, Erick Jade, recently finished high school and is waiting for her sister to help him get a job in the same company and help the family instead. The Sernas calmly tells their contributions in the community as well as their personal struggles in the family. “Ang meron sa aming pamilya ay yung nagkakasundo kami, tulong-tulong,” said Gerald. His mother followed, “Pag nakikita nila yung Papa nila kung anong trabaho, tinutulungan nila.” The family works together. It is Serna family’s strong suit and will always be. “At mahal namin ang isa’t-isa,” ended Erick Jade. Although they stopped studying, Gerald and Erick Jade expressed their feelings to continue and get vocational courses. Filipinos have a fun way of saying things and names. We are fond of repeated words, thus making it indeed, more fun in the Philippines. We have a fish named Lapu-Lapu, a flavor called bola-bola, a place called Balik-Balik, and a food labeled as pitchi-pitchi. Every day is termed araw-araw while every night is called gabi-gabi. And on the western part of the Philippines, in an island called Palawan, a surname from one of the indigenous tribe is called Nangnang, this year’s winner of the Search for Huwarang Pantawid Pamilya in region MiMaRoPa. Guided by the eldest daughter, Jeheda, the visitors entered the humble abode of the Nangnangs. The cemented floor in the living room is well-kept with a rattan bench and small table at the center. Pictures of the family and recognition and awards of the children were displayed on the walls. The kitchen area although not yet cemented is also clean keeping their belongings organized, even the coconut ‘pawids’ that the family makes are stacked at one side. As the whole family sits on the floor, wearing their shy smiles, they narrated their stories of struggles and hardships. Tang and Lyn, as what Damedo and Jehelyn are often called, have promised themselves to do whatever they can to provide for their children. Being elementary graduates, the couple has dreamed of their children achieving more of what they have accomplished. They want their children to finish their education, to have a college degree. “Kaya nga po kahit masama ang pakiramdam ko, umaakyat talaga ako ng bundok para puntahan ang taniman namin. Minsan, kahit masakit na talaga ang likod ko ay tuloy lang, mamamalayan ko nalang tumutulo ang luha ko,” said Tang. The family plants crops in the mountain. It is a two-hour walk from their home. Usually, the family would go to the mountain on a Friday and stay there until Sunday to plant and harvest whatever crops there is. Joela, second eldest, recalled, “Dati po tinawagan ko si Mama nung nasa boarding house ako, tapos may sakit siya nun pero umakyat parin siya ng bundok. 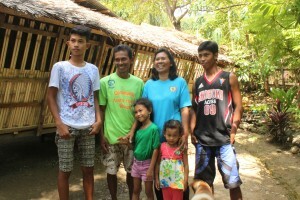 Naawa po talaga ako kasi alam kong pagod pero tuloy parin sila sa pagtatrabaho.” The children are very grateful for their parents’ hard work to provide for the family. With the parents’ efforts, the children could not just stay still and let them do the work alone. In their own small way, the four daughters help in any way they can. They have an estimated income of 5,000 to 7,000 monthly. The children help plant various crops and goes to tabuan or market day and sells them. Joela and Janet, third child, would sometimes prepare kakanin. Jeheda would also do some ironing while Jenny, the youngest would sometimes sell guava for an additional allowance. They also help make ‘banig’ or ‘pawid’. Just like any compliant partner-beneficiaries, the Nangnang family uses their cash grants for the welfare of their children. They used their first cash grant intelligently to be able to sustain their family’s needs. When they first received their cash grant amounting to 2,800 pesos, the 1,500 were used to buy a pig. Until now, they are taking care of the same pig and were able to buy chickens and goats as well. The family belongs to the set 4 grantees of Pantwid Pamilya. “Nagpapasalamat po ako sa programa at katuwang ko talaga sa gastusin sa pamilya. Para po akong may anak na lalaki dahil sa Pantawid,” said Tang. With proper budgeting, the family is able to provide their simple everyday needs and expenses. But it is not everyday that they get simple expenses. There comes a time that one has to sacrifice and stop schooling to allow the others to continue. The family lines up in front of the regional validators and narrate their happy and challenging stories. Joela, 20 years old, is a first year college student just like Janet, 17, in Western Philippines University (WPU). Joela sacrificed and stopped for two years to give way for her older sister to graduate in college. She wanted to help with her sister’s expenses. Tang and Lyn did not agree first but because of Joela’s heart to help in the finances and with the family’s poor condition, the couple gave in. Luckily, Joela found work within the home of a family friend, Mrs. Patricia Anunciado. She was an all around help in the house and sometimes works in another store. “Masipag yang mga yan. Si Joela, maayos magtrabaho kaya kinuha narin namin. Alam ko kasing gustong tumulong sa mga kapatid niya at kailangan nila,” said Mrs. Anunciado. Mrs.Anunciadois a retired teacher in WPU. She used to stay in Nangnang’s house before since she teaches in an elementary school near their home. “Kaya naman maluwag ang loob kong tulungan sila kasi tinulungan rin nila ako noon,” said Mrs. Anunciado. She experienced the goodness of the family. Even with nothing to give, the Nangnangs did not think twice to help in any way they can. Moreover, Ms. Sharon Rose Anunciado, daughter of Mrs. Anunciado also testified as to how good and hardworking the children are. She said that when Jeheda used to stay with them, she frequently uses their computer. She would research for her assignments and projects. As a sign of helping out, Ms. Anunciado would give the children a lieu way in paying for their dorm fee. She just allows the children to pay whenever they can. Currently, Joela and Janet are staying in their dormitory. The Anunciados can be treated as the good karma of the Nangnangs. 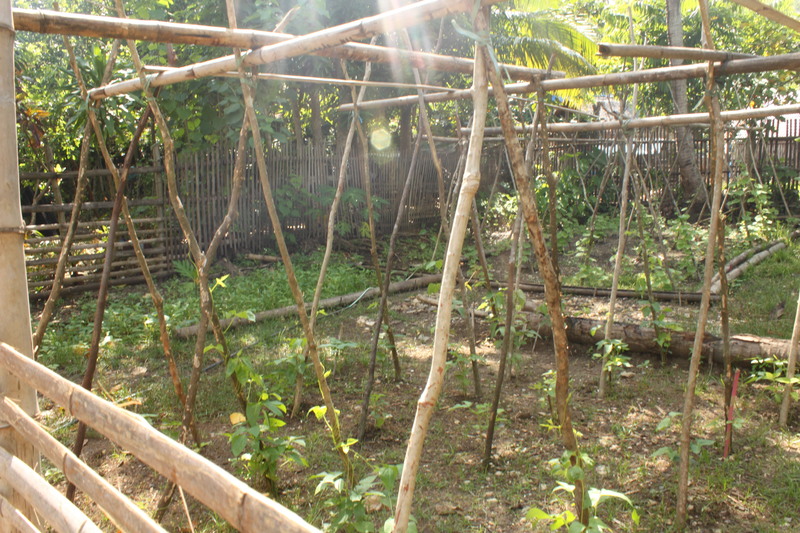 What the Nangnangs did is only offer their home to Mrs. Anunciado to be able to provide convenience for her while she teaches. The good deeds of the parents are now reaped by their daughters. Since Jeheda already finished her studies and recently passed the Licensure Exam for Teachers (LET), it is now her turn to help her sisters. She promised to in a way slowly unburden their parents of the financial needs of her sisters’ education. With renewed spirit to continue her studies, Joela is not ashamed even if she is of the same year in college with Janet. “Hindi ko kinakahiya na tumigil ako para matulungan ang kapatid kong makapagtapos,” said Joela. She is not only working to achieve her dreams but also of her parents’ for her to finish college. She is a first year student in WPU studying B.S. Social Work. Janet, on the other hand, is taking up an Education course like her Ate Jeheda. The youngest, Jenny, is also a consistent honor student. When asked what she wants to be, she shyly answered, “Gusto ko pong maging nurse.” When asked why, “Para po magamot ko po sila Mama at Papa pag may sakit,” Jenny said. At a young age, the love given by the parents is reciprocated by the children. The care for each other is evident through the stories that they narrate spontaneously, that even the people listening cannot help but shed a tear. Jeheda, the eldest, continuously promotes the culture and traditions they have as a Tagbanua and engages other members of the community whenever they have activities. The Nangnangs are 100 percent Tagbanuas. And they are very proud of it. The family could still play their traditional songs with a gong while the daughters dance. The three eldest daughters also lead in the festijos, a committee in-charge of the overall activities in a fiesta. Last year, they were the leaders of the fiesta for the municipality. They incorporated traditional songs and dances in the program. It is their way of reminding themselves and everyone who they are. Gladly, the audience liked it and applauded their performances. They are hoping that they will be invited again to head the event to showcase more talent of the Tagbanuas. Because of their love of their own, Jeheda and Joela reached the island of Iloilo and Antique to meet other IP tribes as well. It was a seminar that they cannot forget. They learned that other tribes showcase their tradition freely and proudly. “Nung nagpunta nga po kami dun, andami po naming nalaman. At sinabi naming sa sarili namin, ‘kung kaya nila, kaya din natin’,” said Jeheda. They are inspired to promote to everyone who they are. “May mga nagsasabi po kasi sa amin na iba, “Ay! IP ka pero graduate ka?” na para bang pag IP ka, maliit ka lang. Hindi mo pwedeng abutin ang mga pangarap mo,” Jeheda added. She wants to prove to others that even though they are IP and poor, they can have a dream and reach them. She wants to dispute the common knowledge that IPs mostly marry at a young age and illiterate. Jeheda has proven that your roots is not your weakness that should hinder you to achieve your dreams but a strength that one must embrace. As a testament of the continuous heart of Jeheda to produce more of their own, she got a 100,000 peso-grant from the National Commission for Culture and the Arts (NCCA) for documenting the oral traditions of their family. The story started when an instructor from University of the Philippines Diliman learned that she is writing all of their oral traditions. The instructor then had an idea that Jeheda should create a proposal to the NCCA. Thinking that this will move their tribe forward, the latter, willingly agreed. Luckily, the Commission agreed and gave her a grant to be able to document and publish their traditions. Barangay officials and fellow IP members testify as to how active the Nangnangs are in community activities. The family also participates actively in community activities. Analyn Pao, a barangay official, testified on the couple’s participation in the barangay. “Pag may mga gawain po dito ay aktibo naman po yan silang sumasama. Pag may selebrasyon, sasali po sila at tutugtog,” said Analyn. “Mababait at pala simba rin sila,” she added. Lyn is also the leader of their sitio’s women’s group while Tang is sometimes called “Bossing” by others since he tells everyone of the barangay’s scheduled activities like the Family Development Sessions (FDS) of Pantawid Pamilya and KALAHI-CIDSS’s assemblies. Tang would come to the homes of other families and directs them to attend the activities. “Lahat ng mga yan ay para sa mabuti kaya dapat nating suportahan,” said Tang. They are also active members of the church. Jeheda would also teach in the children’s ministry and tell them bible stories. Tang narrated, “Tinanggap ko po ang Diyos na aking tagapagligtas at gusto ko ay ganun din ang aking mga anak.” The daughters would also sometimes join the choir and conduct bible studies. The family lived in harmony that others see as well. With nothing much, Tang and Lyn has worked hard for their children to finish college. Still, they help others in any way they can. Their “Amay” or uncle said, “Dito talaga ako tumutuloy sa pamangkin ko pagkagaling ko ng Sagpangan kasi masaya sila dito at mababait ang mga apo ko.” They offer their homes to whomever visitor they have and let them stay in their room, and they will stay in the living area. Excitement. Hope. Joy. These reflect on the young innocent eyes of children and families as DSWD IV-MiMaRoPa held the Regional Search for Exemplary Pantawid Pamilya Children and Huwarang Pantaiwd Pamilya last August 23, 2013 at the Makati Palace Hotel. The children and families came from their respective provinces to vie against each other and be declared as the regional winner. In her welcome address,Regional Director Wilma D. Naviamos said, “Lahat tayo dito ay dapat masaya. Lahat tayo ay panalo sa paligsahang ito.” The event is a celebration of great young minds. She highlighted that the event is a venue to recognize the good deeds of the children that even at a young age, they serve as an example to the others. RD Naviamos also added that the event is held to acknowledge the parents and their virtuous upbringing despite the difficulties in life. The Search for Exemplary Pantawid Pamilya Children is an annual activity of the program that aims to recognize children beneficiaries who set excellent examples at home, school, and community. Two children were chosen in their municipalities, who consequently strivedto be the provincial representative at the regional level. Shemiah Pineda (Left), winner of the Regional Search for Exemplary Pantawid Pamilya Children, smiles at RD Naviamos as she receives her plaque and Php 10,000 cash prize. Five children namely: Shemiah Pineda of San Jose, Occidental Mindoro,Jestonie Arellado of Sofronio Expanola, Palawan, Argilie Joy Balon of Looc, Romblon, Ma. Isabel Olarte of Socorro, Oriental Mindoro, and Ephraim Laurel of Torrijos, Marinduque competed against each other. They are judged based on the following criteria: Behaviour and Practice (35%), Intelligence (35%), Community/School Participation (20%), and Stage Presence and Appearance (10%). The contestants battled it out in the talent portion through singing, dancing, and a monologue. After showcasing their talents, they each have answered a question from the judges. In the end, the 13 year old Shemiah from San Jose, Occidental Mindoro emerged as the regional winner. With her monologue containing an emotional depiction of a child wanting to help her family,combined with vibrant singing and dancing, it is impossible for the audience not to be in awe of Shemiah. Her honest answer also to the question given to her added more appeal to her winning qualities. During the question and answer portion, Shemiah was asked what she would do if she finds out that a family receives cash grant but does not follow the conditionalities of the program. She answered that she will tell and confide the situation to their parent leader. Her consistent high grades and active participation in extracurricular activities in school added a great factor in her winning. Shemiah received Php 10,000 cash prize while Jestonie who came in second won Php 8,000. Argilie received Php 7,000, Isabel, Php 6,000, and Eprhaim, Php 5,000, who came in third, fourth, and fifth, respectively. Shemiah together with the other contestants will be included in the pool of exemplary children and will join the National Children’s Congress (NCC) to be held this October 2013. Together with the conduct of the search for exemplary children was also the awarding of the families for the Huwarang Pantawid Pamilya. Five families who won in their respective provincial search came to be part of the activity. Roberto, head of the Pelangco family, raises his hand for a high five with Pantawid Pamilya Regional Program Coordinator Vincent Dominic Obcena. Together with the selection committee, the family cannot contain their happiness as they were proclaimed as this year’s regional winner of the Search for Huwarang Pantawid Pamilya. The families went through the rigorous process of selection and validation from the provincial level up to the regional level. The regional selection committee interviewed the heads of the family and asked about their life as a couple and their relationship in their family and to the community. 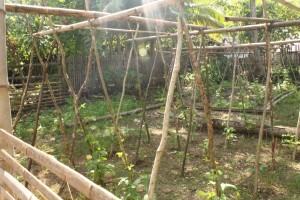 The families were assessed using the following criteria: 100% compliance in all conditionalities (25%), practices and promotes healthy living (20%), actively involved in community and environmental endeavors (20%), demonstrates love and respect for the community including the environment (20%), and manages and utilizes cash grants properly (15%). The committee probed questions as to the recurring arguments and problems the couple deal with and how theyresolve it. They were also further inquired about their lifestyles, jobs, and involvement in the community. Among the five families, the Pelangco family from San Jose, Occidental Mindoro exhibits the best and strongest family ties. The family exhibited a palpable direction – to have a better life. Inch by inch they are saving and putting up sources of income such as herding animals and tending to a rented land. The family has four children. “Nagdesisyon po talaga kami na apat nalang sana ang anak namin,” said Roberto, father of the Pelangcos, with a smile. They have decided to keep their family’s number as it is since raising children is not an easy job. All these families aspire for a better quality of life, their determination and actions transpired them to be model families. Yes, they are beneficiaries of the Pantawid Pamilya but they each have their own ‘diskarte’ in life to not only rely on the cash grants.They know that their contract with the program expires after five years. They ask themselves, “What happens after?” and they start to plan out their life, a life they always wanted – a family who has more than enough. The Pelangco family received a cash prize worth Php 10,000 as the regional winner while the Frias family from Buenavista, Marinduque came in second place with Php 8,000. The Solangon family from Roxas, Oriental Mindoro came in third, Juarez family of Aborlan, Palawan came in fourth while the Malacad family of Sta. Fe, Romblon came in fifth and each received Php 7,000, Php 6,000 and Php 5,000, respectively. The activity such as the Search for Exemplary Children only shows that no amount of difficulty in life can stop an individual to pursue his/her dreams, and it can even start at a young age. These children are the reasons why government programs such as Pantawid Pamilya continue to exist and expand. It is giving hope to these poor young children and telling them that despite their situation, they can do more. The program also reinforces families with aspirations and dreams. It provides support to the families by building a strong foundation – healthy and educated children, and stronger family ties.Being a model family takes a lot of work, and they choose to do more, because they also, as family, can do more.